When I purchased my beetle the previous owner had just paid Larry's VW to install 2.5 in. lowered spindles and a lot of other work, new engine,and I don't know whats else. I have discovered that when I make hard right turn, the inside of the drivers side tire rubs the upper and lower suspension arms and the clamps on the sway bar. Every thing looks ok. I put a longer stop bolt in the drivers side to keep it from rubbing. The right side has plenty of clearance with wheels turned all the way to the left. I think something is off on the left side but I can't figure out what it is. Anyone ever run into this problem before? stock wheels, after market , off set of wheel, and so forth ?? its dropped spindles.......dont turn as "hard" sure its rubbing on suspension arms? that seems very difficult to do unless huge tires. It has 165R15 tires all around. The left front tire rubs on the ends of the upper and lower torsion arms. I don't understand why the left tire rubs and the right one doesn't. Every thing looks the same on both sides of the axle assembly. I forgot to mention that the tires are mounted on stock 1966 vw wheels. (don't have a VW s-wheel handy to check) at home...have a few at my shop an hour away. business....Woody's Alignment, on NW 39th st, Just a little east of Council. He had his business listed on C-List early this fall or the end of summer. 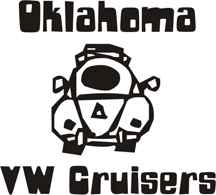 I am sure there are some other Air Cooled VW front end tech....in the OKC area ? Wayyy too many words to just say those tires are too tall for drop spindles. def could be its not centered, but if turning right is ok, and car turns ok, and left rubs, sorry.....to me just dont turn the wheel as far lol. Dropped spindles with 165/80 are def too tall, im surprised he is not saying they rub the headlight buckets. Typically 195/50 etc are too wide as well. i think 175/55/15 or 155/60/15 off the smart car are darn near perfect, and you get a nice tread patch on the ground, not like a 135.
my thing i actually have 165/45. due to the thing front fenders, i needed more room. Rob, pics are worth 1,000 words. vdubjim wrote: def could be its not centered, but if turning right is ok, and car turns ok, and left rubs, sorry.....to me just dont turn the wheel as far lol. honestly though, its really only really dropped looking. its only dropped spindles and one spline out back. Thanks for the input I will check the tie rod adj when I get time. Between aging parents and grand children I don't get as much time in the shop as I would like!